Our very awesome printers at Five Ultimate are letting us push back our registration deadline to this Friday by 6pm. Please make sure to register your player, if you haven’t done so already, for Falmouth Rogue by then if she or he wants to play on the travel team. The intramural team starts in May and has open and rolling signups with no deadlines. 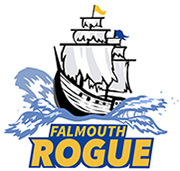 Sign-up for Falmouth Rogue, the travel team, by this Friday, March 17th, at 6pm.